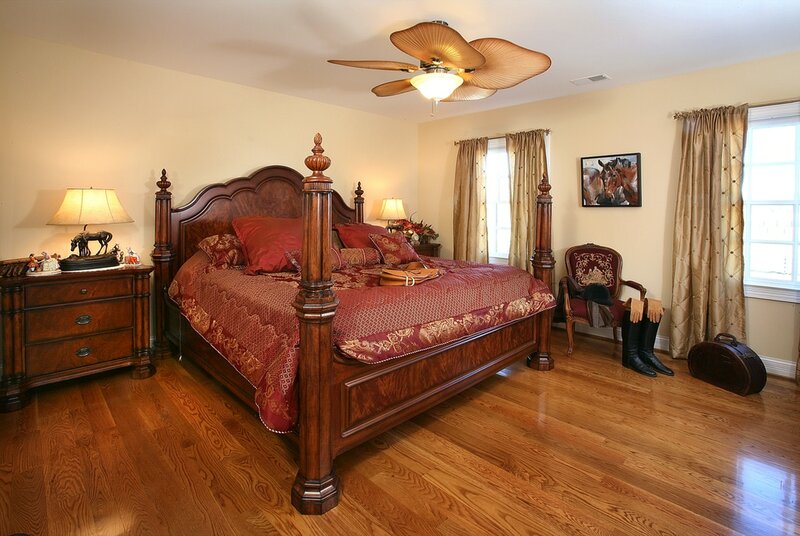 Enjoy the luxurious surroundings of the Bluegrass Country Estate’s Filly (Philly) Room during your Kentucky horse vacation. We could not resist this play on words in naming this room. 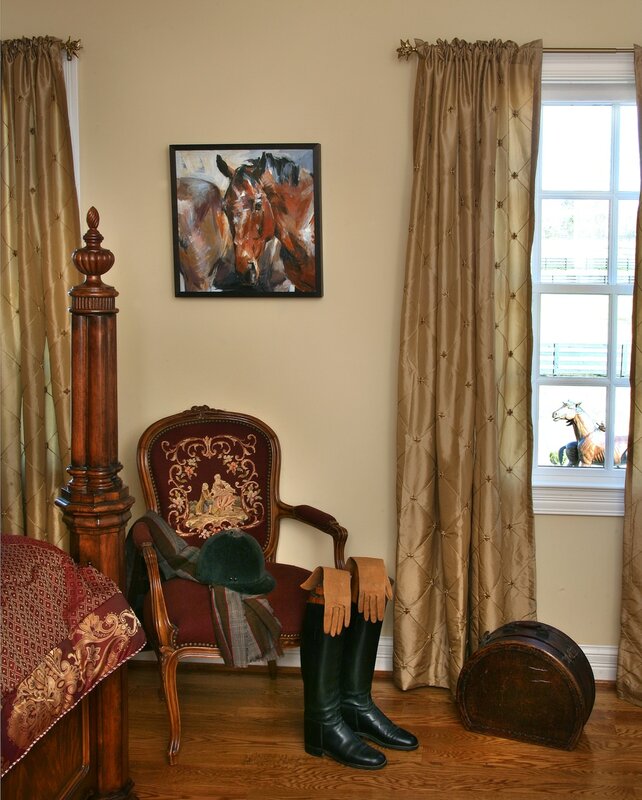 Named after the filly with mare bronze statue in front of the estate and the fact that we just moved from Philadelphia, it was a natural.Furnished beautifully, this room has a great view of the front pasture and horse statue. I am sure you will enjoy the artwork here as well, along with the comfy king size bed. It shares a bathroom with the Run for the Roses room but has a private sink in the room. 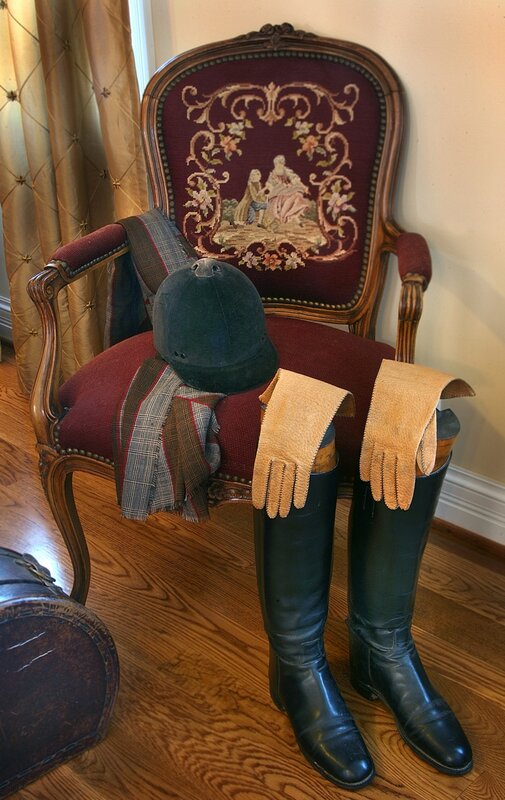 While you are enjoying the accommodations in the Filly Room, your horse will be cozy in a stall in our newly constructed horse barn, featuring eight comfortable stalls and a wash bay. We also have a lovely pasture for your horse to enjoy. After all, doesn’t your best four-legged friend deserve a weekend getaway in Kentucky too? Contact the inn directly for horse lodging rates.